Terri L. Williams is a partner of Gunderson, Palmer, Nelson & Ashmore, LLP. She practices in the areas of Family Law, School Law, Local Government and Criminal Law. Terri earned her B.A. from Chadron State College and received her J.D. from the University of South Dakota. Before joining the law firm, Terri was Butte County's State's Attorney, and prior to that she worked as a Lawrence County Public Defender. Terri has served as the Pennington County Bar President and as a State Bar of South Dakota Commissioner. Terri has served on the Governor's Task Force on Child Custody and Visitation. Terri is personally an advocate for children and serves as a Board Member for SD Voices for Children and the Dakota Horizon Girl Scouts. 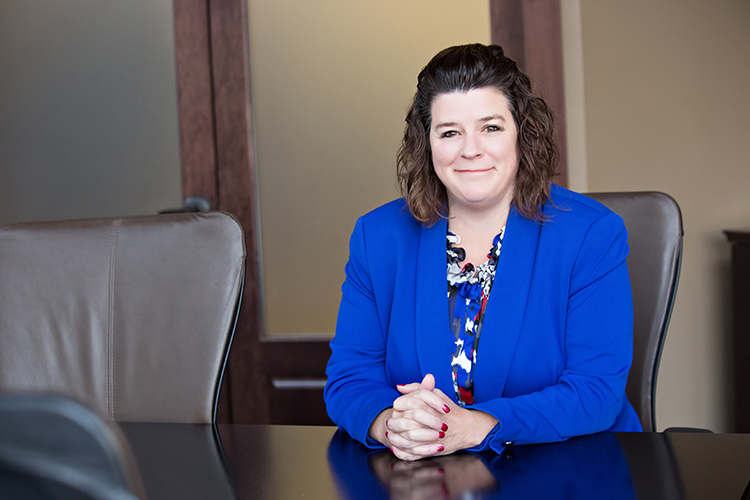 Terri is currently co-chair of the Family Law Committee and was recognized as a Great Plains Super Lawyer for 2011. Gunderson Palmer’s Family Law attorneys care about your family and your family’s future is our first priority.